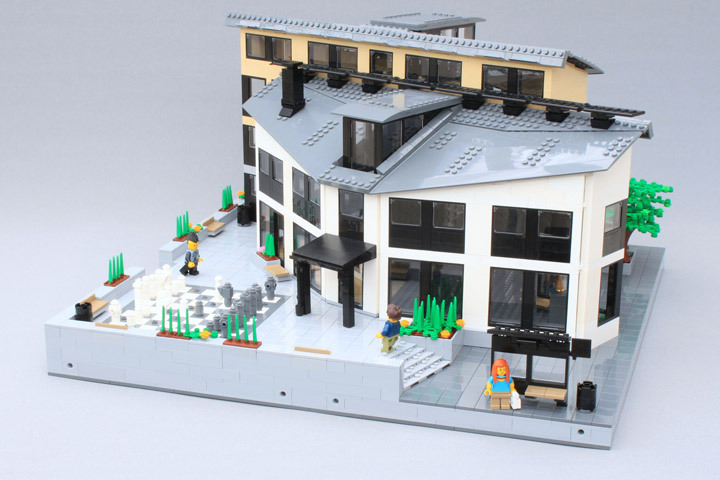 Welcome To The Lego City House Of Culture! 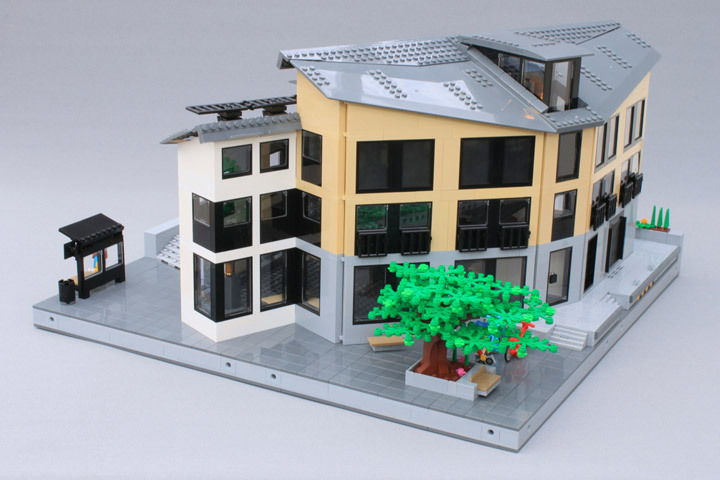 This is the Lego House Of Culture, designed and build by O0ger. It is always an interesting challenge when you take one of those weird ugly Lego Pieces and use them in a new way. In this case, the gigantic wing that comes in sets like the Lego City Airport 60104. Two of these big wings are used to create the roof of the House of Culture. The large whole in the wing, where the rest of the plane goes has been transformed into a neat skylight. Some other details of note include the giant chess set on the patio, a nice looking bus shelter, and some neat benches built into the landscaping. The end result is one awesome architecture themed MOCs. Minifigures Need To Eat Too. Lego Dunkin Donuts And Texas Road House.